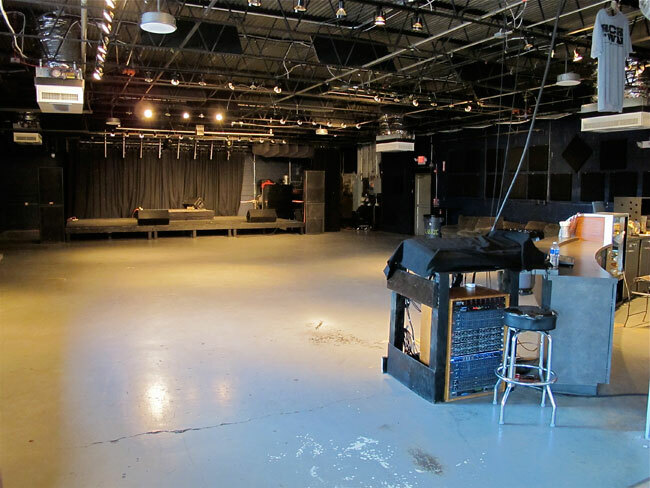 A 24’ x 16’ stage which can be reconfigured to become a smaller stage. Separate from Main Facility and located just across the street at 522 5th Avenue on Lea St. Standing room capacity for 500 people. Seated capacity varies with layout.